submit a request or dedication. Then send an email to: debt@InnervisionRecords.org so we know you signed up. Innervision FM weekly give away of 15 percent of donations raised between Wednesday and Monday! Just give us your email, name, phone and zip code and listen Tuesday at 6:00pm to 7:00pm and if we pick your name, you win! for bands who sign up at the $50 level. Free mp3 of your choice of Innervision’s artists. Two free mp3’s of your choice of Innervision’s artists. A free copy of Mr. Dean’s CD! Innervision’s News-letter, a full download of your choice of Innervision’s artists. A one hour co-host spot on Innervision FM, free newsletter and mp3 of your choice of Innervision’s artists. Which ever level you donate you will win from that level of that 15 percent of $5, $10, $25, $50, or $100! We just ask for your name, phone, zip code and what you want to hear, or not hear, on our station. Your donations to Innervision a 501(c3) are one hundred percent tax deductible. We are proud to have the following sponsors of Innervision partner with us. When you stop in, tell them you appreciate their support of Innervision! Want your web site in the top ten, click here! Help us raise money by buying one or more of our CD’s! Mr. Dean, who I play on Innervision FM, is offering 100 of his CDs to the first 100 people who join as a monthly member for a year! Now if that wasn't enough, in 2009 Jacky, one of my volunteers got me to sell "World Finest chocolates", and in four months we raised $6,000! So in memory of Jacky, who died at 8:00pm on January 12, 2012, if you get ten of your friends to donate $10.00 you will all receive two Finest Chocolates plus a single download from Mr. Dean. If you get 25 friends to donate: 5 Finest Chocolates, plus a Mr. Dean CD for each of you. If 50 friends donate: 10 Finest Chocolates and a Mr. Dean's CD. Now this is the big one: if you get 100 of your friends to donate $100 a month for the next year, all of you will receive 20 Finest Chocolates and we will ask Mr. Dean to press more CD's to give away to you and for him to do a free concert to thank you for blessing our nonprofit! Innervision teaches the business of music and radio! Innervision is a nonprofit for disabled and grass-roots musicians in the community of Denver, Colorado. We depend on the public's donations to keep the recording studio, radio and TV shows running. The mission of Innervision is to have an open dialog about disabled issues, showcase the talents of physically challenged grass-roots musical artists through televised and live performances to enrich the Denver community. Check out our artists; listen to samples of their music! Read their testimonies. We invite you to support Innervision and become a sponsor or member. 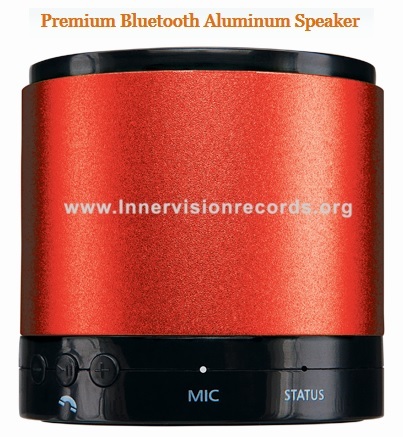 Read our blogs on getting your music recorded, how Innervision helps and more. Sign up for our e-mail News Letter! Why do we ask for your phone number and zip code? Having this information shows you are not a computer spammer and also helps us when applying for grants to assist our artists by showing we have a dedicated following. We will not give your information to outside individuals or organizations.